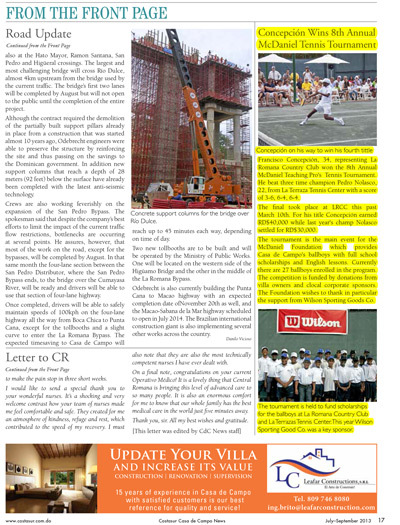 Read more about annual McDaniel Tennis Tournaments on the website. 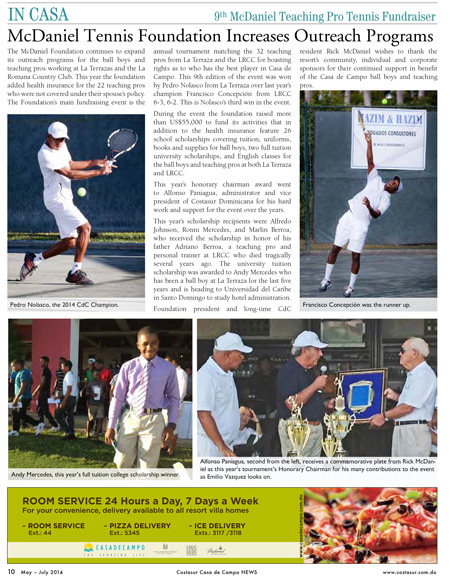 The McDaniel will host its 12th Annual Tennis Tournament at the La Romana Country Club on March 12 at 4pm. The event will be played I doubles format, pairing the top-ranked teaching pro with the lower-ranked and so on. 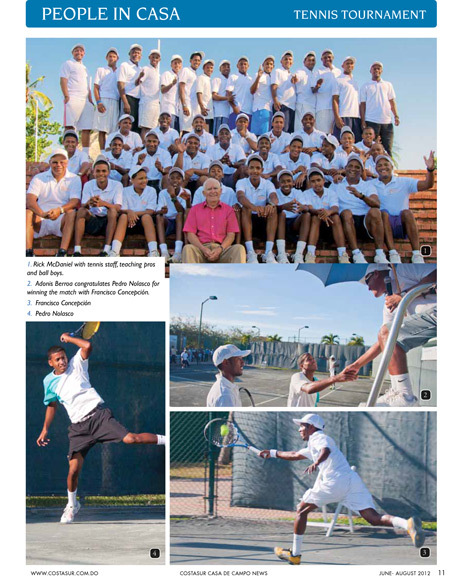 The McDaniel Foundation continues to expand its outreach programs for the ball boys and teaching pros working at La Terrazas and the La Romana Country Club. This year the foundation added health insurance for the 22 teaching pros who were not covered under their spouse’s policy. 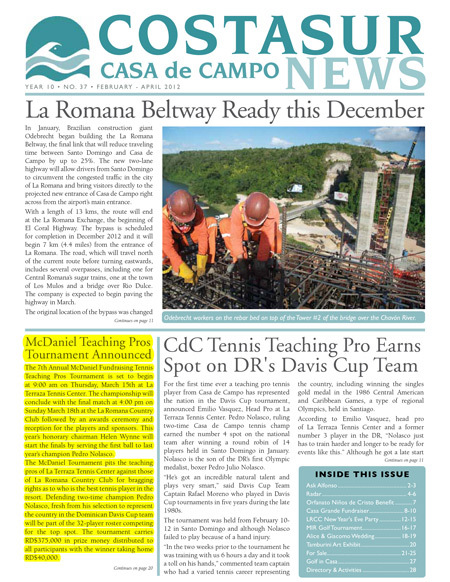 The ninth McDaniel Teaching Pro Tennis Tournament starts on March 12th with the finals to be held on March 15th at the La Romana Country Club (LRCC). Francisco Concepción, 34, representing La Romana Country Club won the 8th Annual McDaniel Teaching Pro's Tennis Tournament. He beat three time champion Pedro Nolasco, 22, from La Terraza Tennis Center with a score of 3-6, 6-4, 6-4. The event is the brainchild of long time Casa de Campo villa owner Rick McDaniel, Chairman of the Fundación Familia McDaniel. In just 6 years he has seen the event grow from eight donors and RD$100,000 to last year’s record 87 sponsors and RD$1.2 million. All funds raised by the Fundación are distributed back to the ball boys and tennis players in the form of the prize money, scholarships and English lessons. In addition, shirts and baseball hats are given to all the players and ball boys. arriving at age 13 as a ball boy in La Terraza, the 21-year-old Nolasco is now preparing with longer workouts for the upcoming match against Venezuela. 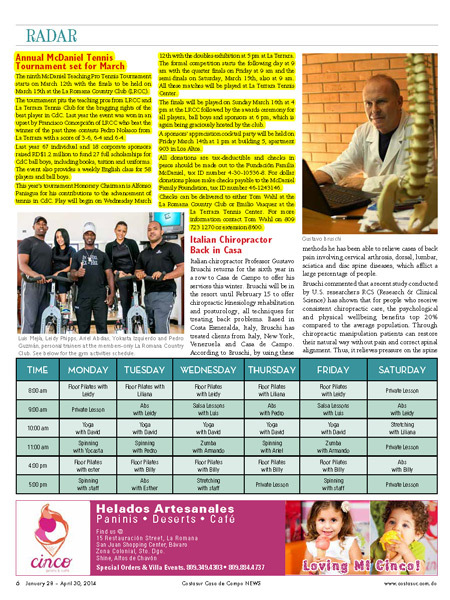 Vasquez added that for more than 25 years Central Romana has been sponsoring the teaching pro players covering all the expenses to participate in national championships. 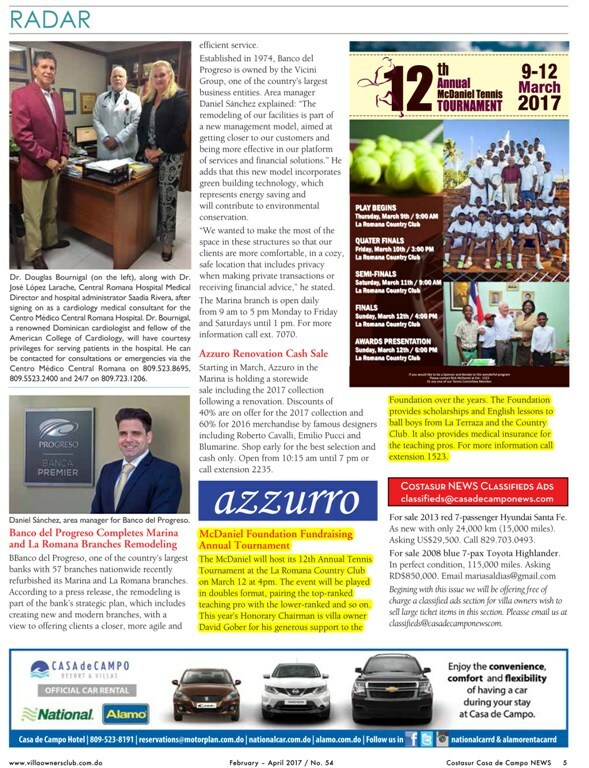 All are invited to the 6th Annual Teaching Pros Tennis Tournament, a fundraising event for the teaching pros and ball boys of both La Terraza Tennis Club and La Romana Country Club. The event pits the teaching pros from both clubs for the bragging rights as to who is the best player in Casa de Campo. 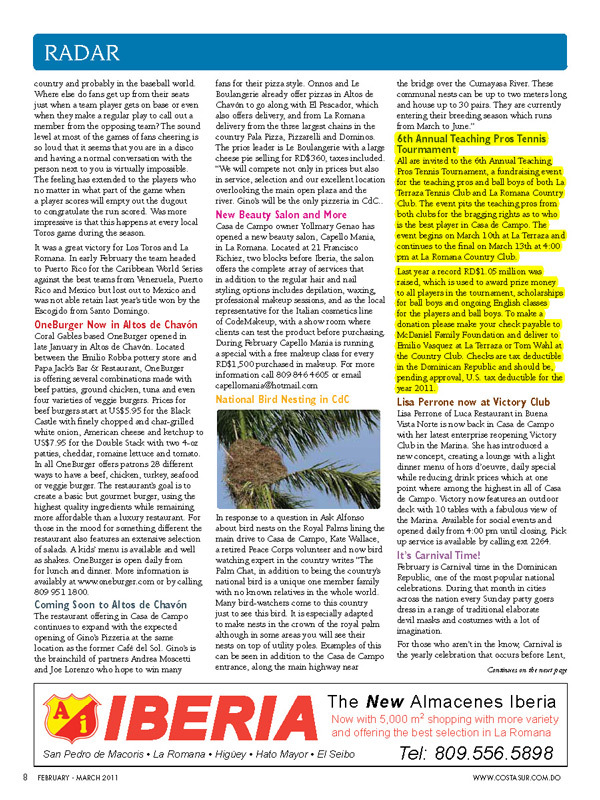 The event begins on March 10th at La Terraza and continues to the final on March 13th at 4:00 pm at La Romana Country Club.